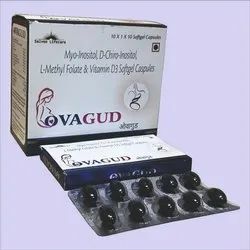 Prominent & Leading Manufacturer from Mohali, we offer levocarnitine with vitamin e, gingko biloba, dha, gineseng multivitamin softgel, omega 3 wheat germ oil natural vit e softgel capsules, myo inositol, d-chiro inositol, for pcos, l-methylfolate calcium, methylcobalamin capsule and coenzyme q10 with lycopene & dha. L-CARNITINE 500 mg is a naturally occurring substance in the body, which is involved in protein, fat, and carbohydrate metabolism. It is an essential component of energy production. It is used as an injection in the treatment of carnitine deficiency associated with end-stage renal disorders. 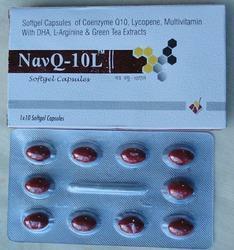 Levocarnitine (L-carnitine) is a trimethylated amino acid known to play a critical role in lipid metabolism. It has antioxidant properties, and several studies have illustrated its effectiveness in lessening the severity of muscle cramps in various disease processes. Nephrourol Mon. 2013 Sep; 5(4): 862–865. As the combination use of vitamin E and L-carnitine could more effectively reduce the intradialytic complications, it is recommended for daily use in hemodialysis patients. 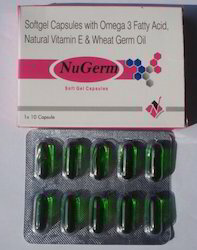 Wheat Germ Oil…….... 100 mg. Fish oil is the natural source of Omega 3 Fatty acids. Omega 3 triglycerides are precursors of eicosanoids in fish & when taken by man they compete with the precursor archidonic acid. A reduction in plasma triglycerides, cholesterol & very low density lipoproteins, an increase in high density lipoproteins, an anti-inflammatory action, a fibrinolytic & anti-platelet effect. Wheat germ oil is a rich & natural source of vitamin E that protects the oils from oxidation. besides its well known that requirements of vitamin E increases with increased dietary amounts of polyunsaturated fatty acids. In addition Vitamin E prevents the formation of toxic oxidation products formed from unsaturated fatty acids. Omega 3 Plus are easily assimilated. They do not contain any artificial colouring or preservatives & are free from salts. Prevention & treatment of coronary heart diseases. Psoriasis, Eczema, other skin diseases. One capsule to be swallowed three times daily. A regular course is recommended. keep away from moisture at temperature not exceeding 30°C . 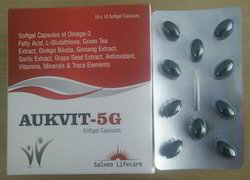 Ovagud contains one of the most widely studied dietary supplements in population is inositol and with good reason. Both Myo (MYO) and d-Chiro-inositol (DCI) inositol types have been shown to improve many of the metabolic and reproductive aspects of PCOS. These benefits include improvements to cholesterol, insulin, androgens and weight. Women who take inositol report fewer cravings. Best of all, MYO has been shown to boost fertility by improving egg quality and restoring menstrual regularity and well as reduce the risk for gestational diabetes. While both MYO and DCI types offer many benefits to women with PCOS, new research now shows that it's the combination of the two types, in the body's natural ratio that shows the most benefit. Inositol is a term used to refer to a group naturally occurring Carbohydrate compounds. Inositol plays a critical role in insulin signalling. Conditions such as hyperglycaemia and diabetes are associated with disrupted insulin signalling leading to insulin resistance. Thus results in infertility. INOSITOL plays a key role in follicular development, improves oocyte (egg) quality and helps in the restoration of ovulation in women. It’s useful in certain types of anaemia. Conditions that can cause low folate levels include poor diet, pregnancy, alcoholism, liver disease, certain stomach and intestinal problems, kidney dialysis, among others. Women of child bearing age should receive adequate amounts of folic acid either through their diet or supplements to prevent infant spinal cord birth defects. L-Methyl Folate Calcium (LMF) is highly bio-available source of folic acid. It is the natural, active form of folic acid which is an integral component of prenatal care, homocysteine management, depression treatment, dementia and cardiovascular concerns. 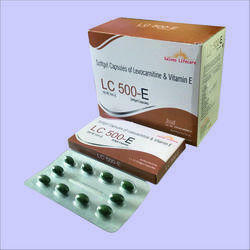 LMF is a vitamin essential for reproductive health. It functions as a methyl donor and monoamine synthesis modulator. Vitamin D-3 is one form of vitamin D, a fat-soluble vitamin whose main role in your body is to promote the absorption of calcium in the intestinal tract. Vitamin D also assists with cell growth, inflammation reduction, neuromuscular function and immunity. Since your body needs vitamin D to absorb calcium, a vitamin D deficiency typically results in weakened bones, called rickets in children and osteomalacia in adults. Vitamin D3 is useful in depression, osteoporosis, osteomalacia and rickets. Vitamin D3 supplementation helps to improve glucose metabolism and the regulation of menstruation. Evening Primrose Oil has been called the most sensational preventive discovery since vitamin C. It contains the pain relieving compound phenylalanine and is increasingly being used to treat chronic headaches. It is currently being studied all over the world as a treatment for aging problems, alcoholism, acne, heart disease, hyperactivity in children, symptoms of menopause, multiple sclerosis, weight control, obesity, PMS and schizophrenia. It has so many preventive and therapeutic qualities that it has become a standard part of recommendations of many herbalist for maintaining youth and preventing disease. 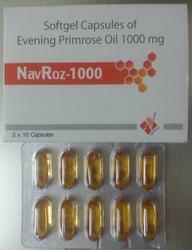 Evening Primrose Oil contains a high concentration of a fatty acid called GLA and it is this fatty acid that is largely responsible for the remarkable healing properties of the plant. In fact, Evening Primrose contains one of the highest concentrations known of this important substance and only a few other plants contain it at all. This makes Evening Primrose an important medicinal herb, and as studies continue, the list of benefits will likely become much longer. The gamma-linoleic acid, linoleic acid and other nutrients in this oil are essential for cell structure and improve the elasticity of the skin. These fatty acids also help to regulate hormones and improve nerve function aiding problems ranging from PMS to migraine headaches. The hormone balancing effect contributes to healthy breast tissue. Prevent alcohol withdrawal symptoms: GLA prompts the brain to produce a specific type of prostaglandin called prostaglandin E, which works to prevent withdrawal symptoms such as depression and seizures by indirectly protecting the liver and nervous system. 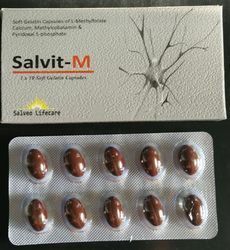 Properties: Anti-aggregatory, anti-atherogenic, anti-inflammatory, anti-oxidant, anti-proliferative, anti-thrombotic, vasodilator Indicated for: Acne, allergies, arteriosclerosis, asthma, cholesterol regulation, chronic headaches, diabetic nerve damage. dermatitis, eczema, hyperactivity in children, high cholesterol, impotence and female infertility, inflammation, lupus, multiple sclerosis, prostate health, psoriasis, obesity, rheumatoid arthritis, rosacea, scleroderma, treat, Alzheimer's-related memory deficiencies, upset stomach. Nourish nails, scalp, and hair. Prevent alcohol withdrawal symptoms. Relieve the discomforts of PMS (premenstrual syndrome), menstruation, menopause, endometriosis and fibrocystic breasts. Minimise premenstrual breast tenderness, irritable bowel flare-ups, and carbohydrate cravings, and help to control endometriosis-associated inflammation. Consult a doctor first if you suffer from epilepsy, are taking anticoagulants, blood pressure medicine, blood cholesterol medicine or estrogen or other hormonal therapies. Women who are pregnant or breast-feeding should not use this herb. 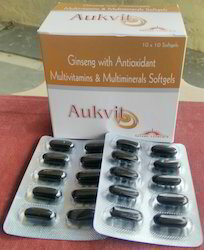 Our team of skilled and trained professionals enable us to provide our clients with best quality range of Ginseng, Selenium Antioxidant Multivitamins Multiminerals Capsules. We always test these products as per the international standards of quality to ensure better performance without any errors. We also have a customized quantity of these products in accordance to the needs of the clients. 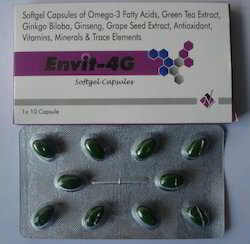 Looking for Softgelatin Capsules ?